Spousal maintenance is a set monthly payment that one spouse pays to the other, for a set period of time after a divorce case. What Amount of Spousal Maintenance Will be Ordered By The Court In a Divorce? Texas judges are supposed to order the minimum amount that will work, to cover reasonable needs of the spouse for the shortest time possible. The maximum spousal support that will be ordered is 20% of the paying spouse’s gross monthly income, or $5000 per month, whichever is less. Please read this entire webpage to understand what other factors will be used to come up with an amount of support, keeping in mind that there is a basic presumption against ordering spousal maintenance at all. 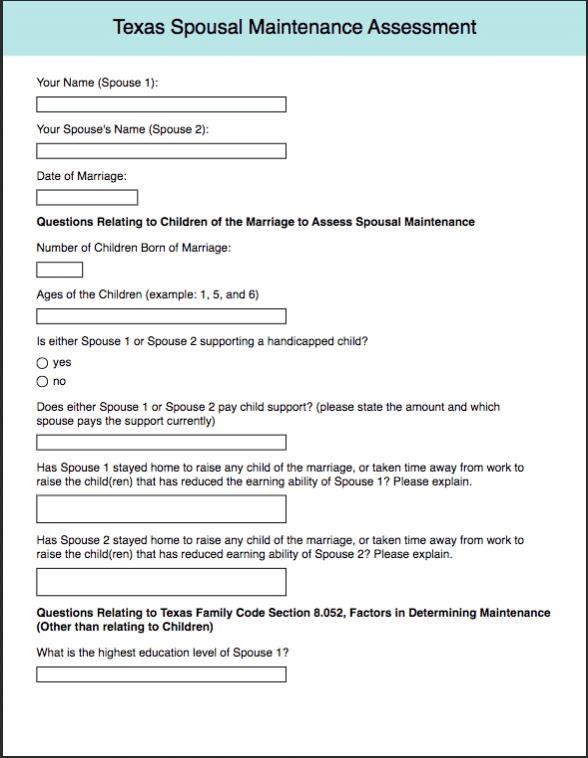 The Texas family code makes it clear that if spouse 1 is seeking to obtain spousal maintenance from spouse 2 that spouse 1 must try to get a job, or develop the skills needed to make money. If spouse 1 does not try to get a job or go further their education, then the courts are encouraged not to grant any award of spousal maintenance. Judges are generally not supposed to order payments if the spouse seeking monthly payments is not looking for employment. How Long Will the Spousal Maintenance Payments Last? If you were married for 10-20 years, then the longest time that spousal maintenance can be paid is for 5 years. If you were married for 20-30 years, then the longest time that spousal maintenance can be ordered is 7 years. Texas Judges are supposed to order the maintenance for the shortest time possible, that will allow the spouse receiving payments to start making enough money to support himself/herself. However, if a spouse is physically or mentally disabled, or caring for young children, or has another compelling reason, then maintenance should not be ordered for the shortest time but rather up to the maximum length of time as provided above. What Amount Should You and Your Spouse Agree On During an Uncontested Divorce? The Cook & Cook Law Firm has its website at “part as friends” for a reason. We really believe in the agreed divorce. Both spouses should take a realistic look at the information on this page. There is an overall presumption against granting any spousal maintenance as part of a divorce settlement. Spousal maintenance should only be agreed on in the event that the marriage has lasted 10 years or more, unless there was family violence or a disability, as explained in more detail above. If awarded, the spousal maintenance should be for a minimum amount needed by a spouse to get back on his/her feet after the divorce. When trying to come to an agreement on spousal maintenance, it is helpful to understand what would happen in a court setting, if you were to have a contested divorce trial. 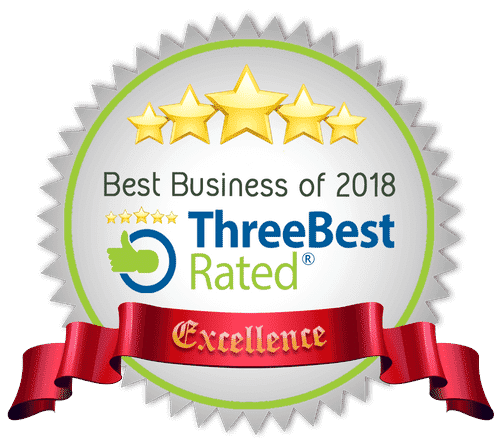 The reason that we have this assessment online is to help educate you on spousal maintenance, so that you and your spouse can come to a fair agreement on whether spousal maintenance should be a part of your divorce settlement terms. If a client of Cook & Cook needs help determining spousal maintenance, this is the form that the client should submit to us, so that we may get a more complete picture from you of your particular situation. Is Spousal Maintenance the Same Thing as Alimony? No. Alimony cannot be ordered in Texas by any Court, unless it is entered as an agreement of the spouses getting divorced. This is always surprising to people that are unfamiliar with this particular part of Texas law. Because many people do not qualify to get spousal maintenance in accordance with the law (many marriages have not lasted 10 years or longer), spouses may be seeking alternative methods to come up with a fair settlement. Email Texas Divorce Attorney, Megan Cook. After a long hearing, it can be difficult for the court or the mediator to have a complete memory of all of the evidence heard regarding spousal maintenance. To assist your court, this exhibit serves to, in seconds, remind the court of the relevant factors at play under the Texas Family Code, as well as know what factors are applicable to the particular case at hand. For spouses parting ways as friends, filling out the above assessment and using this form can help a person better understand the outcome at court, and thus negotiate for himself/herself with a more knowledgeable footing. As the hearing is taking place, you can check box all relevant factors. Then, during summary argument, present this chart to the Judge as a visual aid. Is either Spouse 1 or Spouse 2 supporting a handicapped child? Does either Spouse 1 or Spouse 2 pay child support? Spouse 1 or 2 stayed home to raise kids? What is the highest education level of Spouse 1, 2? Employment history of Spouse 1, 2? What is the Gross Monthly income of Spouse 1, Spouse 2? Did Spouse 1 or 2 commit adultery? Does Spouse 1 or 2 have a separate estate to help support him/her? If Spouse 1 or 2 is unemployed, is he/she trying to find employment? Who should pay spousal maintenance? Would You Like a Cook & Cook a Lawyer to Figure This Out For You?